1. Player A dinks it into the keeper, Player A follows his pass. 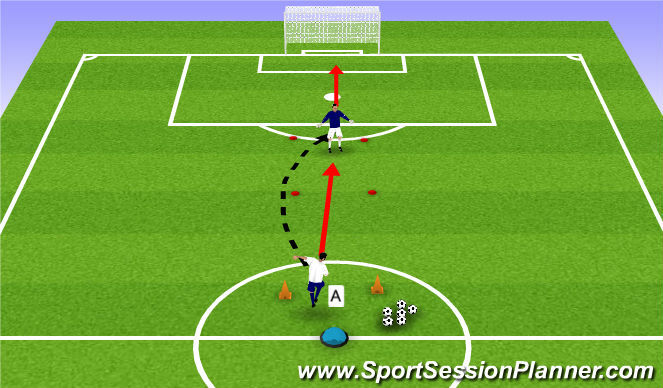 The Keeper drops the ball in the red sqaure and Player A must dink the keeper before he gets back.